The state Elections Bureau says the petition drive to legalize marijuana in Michigan has failed to gather enough signatures needed to qualify for the ballot. The bureau rejected many of the signatures because they were gathered outside a 180-day window for collecting names of registered voters. The bureau’s recommendation will be voted on Thursday by the Michigan Board of State Canvassers. Fred Woodhams is spokesman for the elections bureau. He says many of the signatures turned in were gathered outside the 180-day window for collecting names of registered voters. “Half the signatures were outside that window and could not be counted,” Woodhams said. The M-I Legalize campaign says those signatures should be counted. Jeff Hank of M-I Legalize says court is the next stop if the signatures are rejected. “We’re certainly going to fight hard for the rights of every Michigan voter to have a chance in November to vote on this,” Hank said. Hank says the 180-day requirement is tough to meet, and means only deep-pocketed special interests will be able to run successful petition campaigns. Governor Rick Snyder also signed a bill to cement the 180-day requirement in state law. Supporters of legalizing marijuana in Michigan dropped off more than 350,000 petition signatures at the Secretary of State’s office today. That would be enough to put the issue on the November ballot. But there is a question whether the signatures were gathered within the time allowed. There could be a legal showdown looming between state elections officials and the ballot campaign to legalize marijuana. 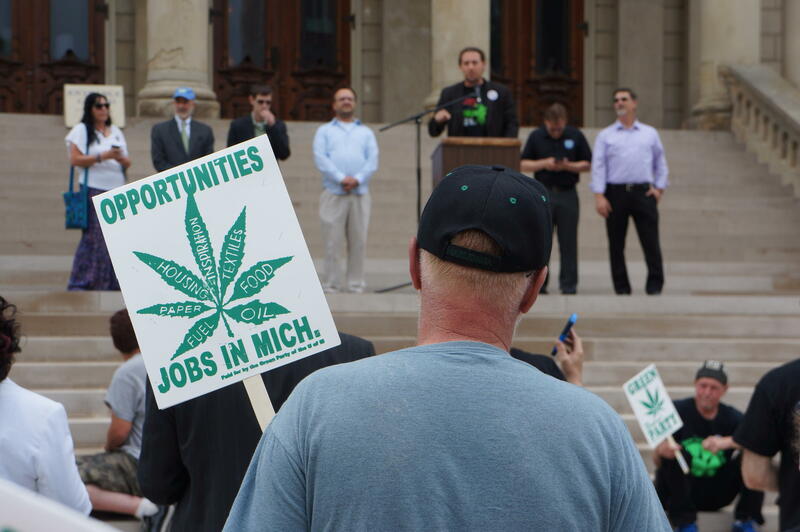 The MI Legalize campaign wants the state to count signatures that are more than 180 days old. Right now, those signatures are presumed to be outdated and invalid unless the campaign can prove the signer is still a registered voter. But that’s very hard to do without access to the state’s electronic voter database. It requires getting an affidavit from every voter, or looking at records kept by local clerks.